While we are traveling this year, I am trying to figure out how to keep our holiday traditions alive. I want to create a little bit of “home” for the boys while being far from home and maintain or create some outdoor winter traditions. In Montana we join friends for the Livingston Holiday Stroll, hike through the woods looking for the perfectly imperfect tree, sit around a fire for Winter Solstice, and soak in the Boiling River before cross-country skiing in Yellowstone. We love these outdoor winter traditions, this creation of hygge. This year there will be Christmas Markets and outdoor play, hopefully in the snow. Our Airbnb host has promised us a tree. There will be a couple presents (not many, we have to carry everything), and family togetherness. I am excited to create the feeling of home and hygge while we experience something new. Click here to get $35 off your first Airbnb rental. I checked in with some of my outdoor blogging friends to find out how they celebrated winter and the holidays. 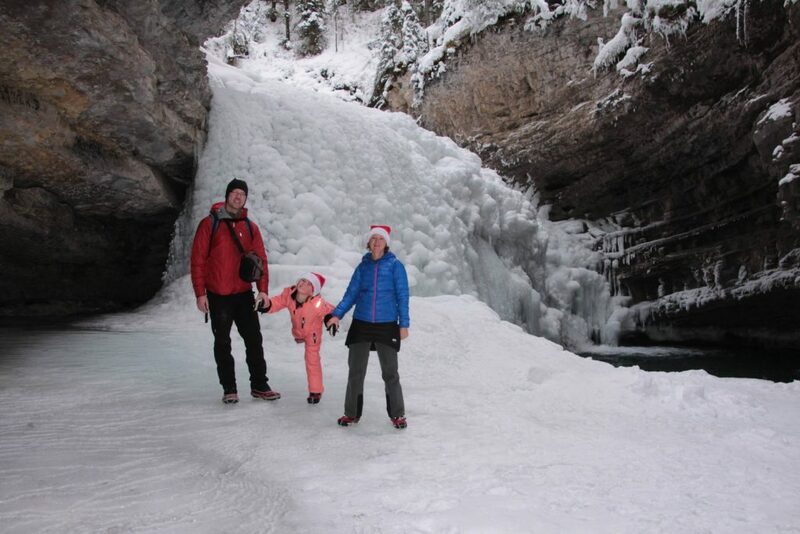 While the activities differ, we all agree that getting outside with family and friends is a big part of the season. 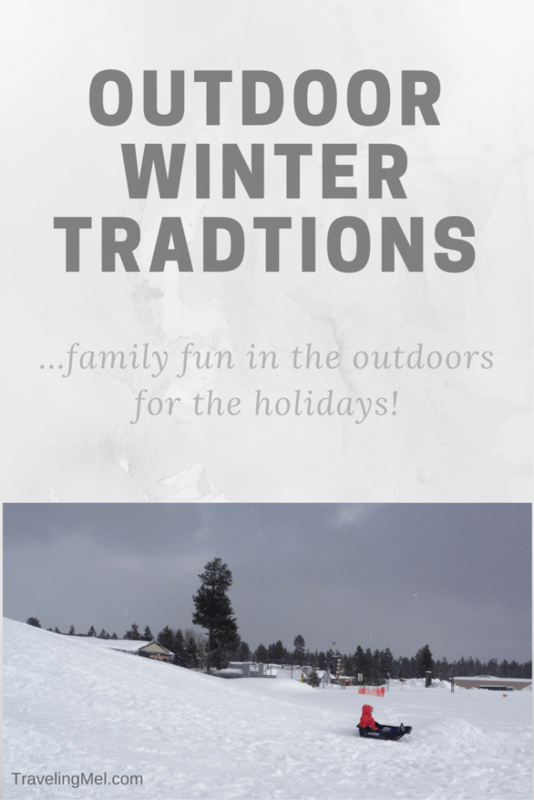 Check out their outdoor winter traditions and maybe adapt some for yourself! 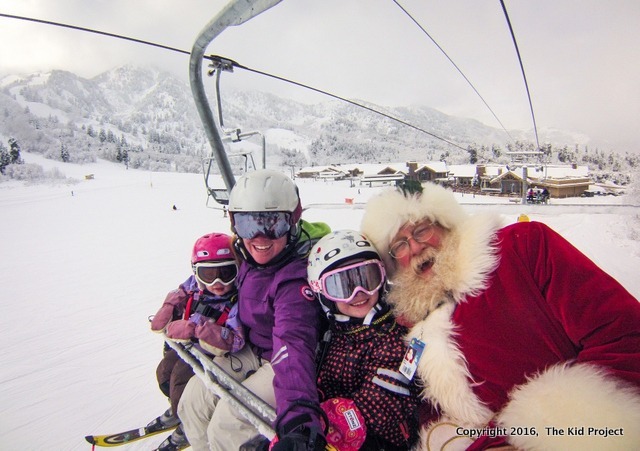 When in Utah, our favorite place to spend Christmas Eve is at Snowbasin Resort, skiing all day, enjoying a nice dinner followed by a visit from Santa and fireworks! Our favourite winter tradition in December is to get away for a pre-Christmas trip to the mountains with friends. We stay at a wilderness hostel, go cross-country skiing, skating, and hiking. We decorate gingerbread houses and exchange a few small gifts with the kids. It’s a fun way to celebrate Christmas the way we want to celebrate it, outside playing in the mountains, before the real holiday arrives when we have to do the more traditional thing at home with family. This time of year it always seems like it takes a little extra effort to get outside with the kids, as the days are getting shorter, darker and colder. To boost everybody’s motivation, I came up with the idea of building a little house in the woods for trolls, gnomes and other imaginary forest critters, all of which are an important part of the folklore of my native Sweden. The troll house functions like an advent calendar during the weeks leading up to Christmas, and every day my girls are anxious to see what the trolls have been up to overnight. Sometimes we put out cookies or food for the trolls, and in return they usually leave a note, a riddle or a small gift. This will be our fourth year building a troll house and tending to it daily has become one of our family’s most cherished Christmas traditions. Our holiday family tradition is to escape the busyness of Christmas break and flee north to the small village of Talkeetna, Alaska. 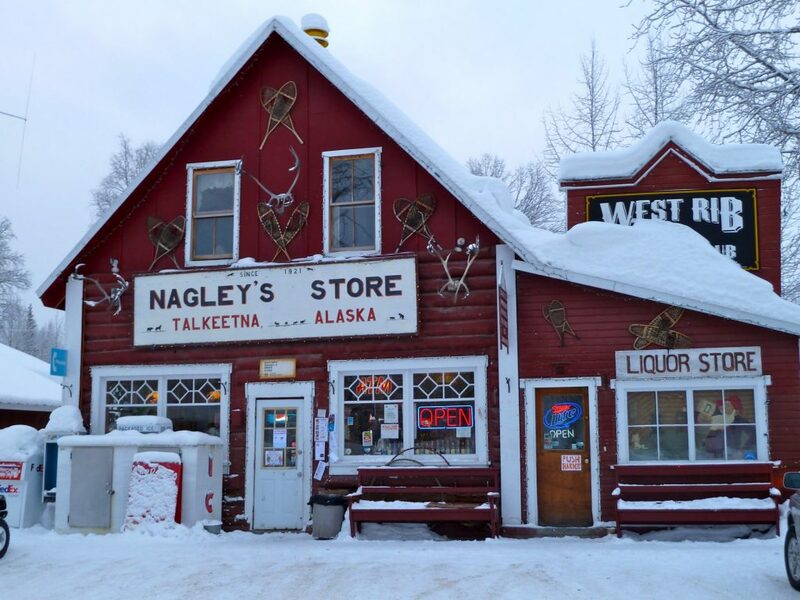 Located about 2.5 hours from Anchorage, Talkeetna is a historical reminder of Alaska’s rural history, as well as a winter hotspot for families who wish to combine relaxation with recreation. When given the choice, we opt not to drive, choosing instead to hop aboard the Alaska Railroad’s Aurora Winter Train that runs north on Saturday and South on Sunday, giving us a full 24 hours of fun. The winter depot is located near Talkeetna’s town square, and a short walk from the famous Talkeetna Roadhouse, a 1917 building where food and family come together quite nicely. We ski, lounge in front of the wood stove, or snowshoe the banks of the Susitna River with Denali looming large in the background. New Year’s Eve is our favorite Talkeetna celebration, with a snow machine parade, fireworks, and a family supper at the Roadhouse that truly emulates the spirit of the Last Frontier. We live on the New England coast and every year, during the week before Thanksgiving, we bundle up for the last boat ride of the season. Some years it is still mild; others it is starting to snow. Either way, we put on lots of layers and head out in our little skiff to the sand dunes at the river mouth. 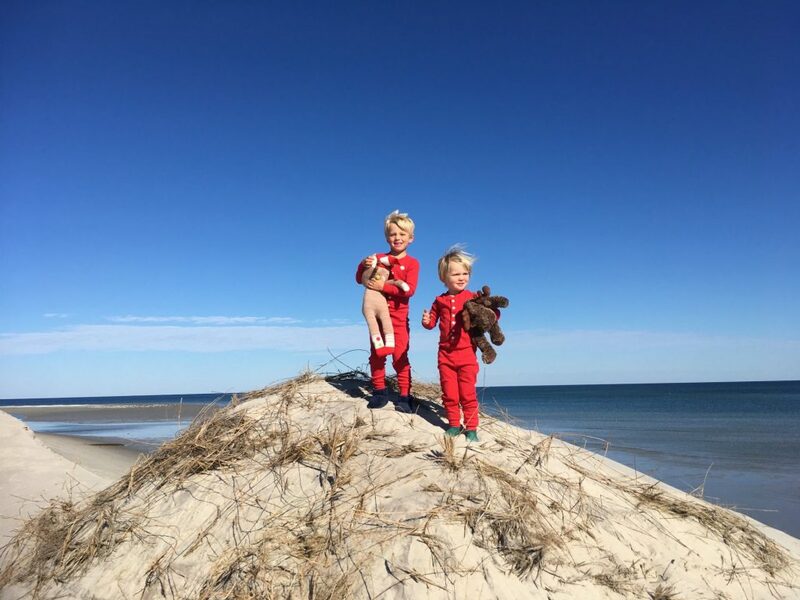 We take our Christmas card pictures at the beach, then hike into the dunes where we pick wild cranberries. On the way home, we sip hot cider from our thermoses. Later, at home, w’lle make cranberry sauce for Thanksgiving. The rest of the cranberries go into cranberry simple syrup that can be used on ice cream, over pancakes, and in drinks. This year we had great weather and got lots of cranberries! Every year we head south to visit our extended family in Florida. This year it will be our 10th Christmas in Florida. When asking my 7 year old what is our Christmas tradition she said “Swimming with manatees in Florida.” Read about that adventure here. 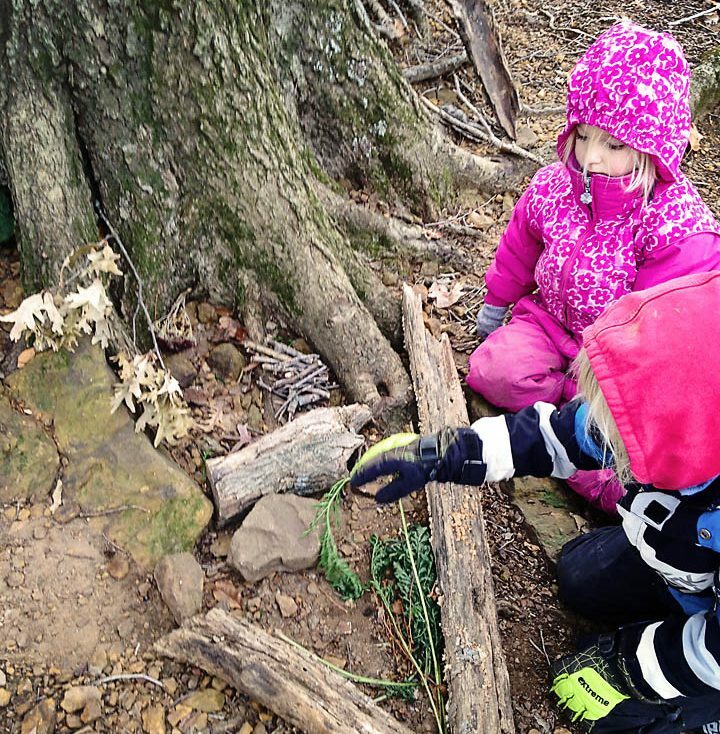 What are your favorite outdoor winter traditions? This article contains affiliate links. If you make a purchase after clicking on one of these links, I may receive a small commission at no extra cost to you. You will never pay more when buying a product through our link. And we only recommend products that we truly love! Thank you! I appreciate your support! Glad you are getting some rain! Lovely collaborative article on keeping family traditions alive while travelling as it is very important especially when the kids are small and everything matters to them all the more. Ha! You are not the first person to get that stuck in your head! I agree, tradition means so much to kids. Living just outside London, England, our winter traditions are not as adventurous as yours but we definitely have a few outdoor traditions too. On Christmas day we always head out on a mammoth family walk and stop at a cosy pub. The atmosphere in the pub on Christmas day is wonderful! That sounds like a delightful way to spend Christmas! Have a happy one! Such an inspiring article on how to best keep your family traditions alive as you go places. I think more then elders, it’s important for kids, who learn from each experience much more than we do! …and then the kids pass it on to their own kids! Traditions are whatever you make them. As fun as skiing with Santa sounds, I would rather swim with the manatees. 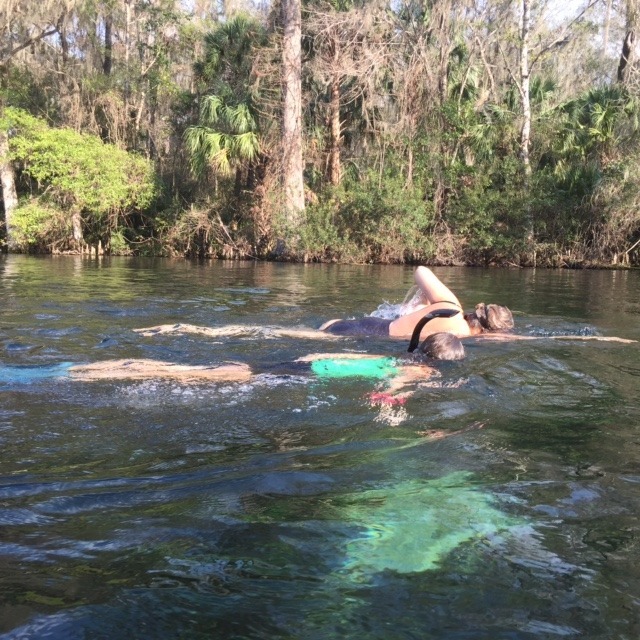 The swimming with manatees was in Florida and warm! Yes, traditions are an important part of the holidays; especially for kids! I like the ideas of getting out in the snow! I’d love to get to ski with Santa 🙂 Hoping to see a bit of snow myself sometime this year! Snow makes it seem so much more like the holidays, in my mind. Hoping for more of it here! What a fabulous round up! In all my years of travelling we have never spent Christmas away from home. Now are kids are all grown up we plan to spend Christmas 2017 away for the very first time!